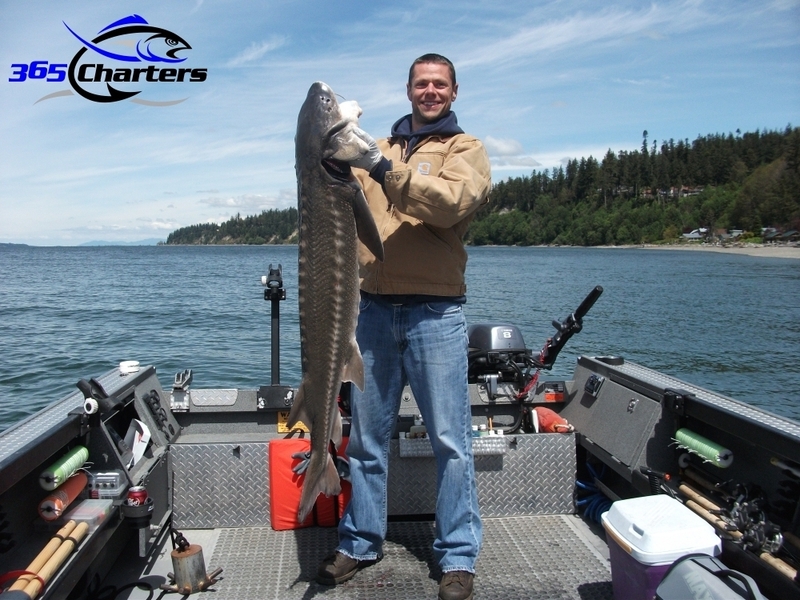 Western Washington has charter & sport fishing opportunities year around. We have the knowledge to put you into the right place to hook into some great memories. We clean and bag your catch at the end of the day. Steelhead are in fact many things to many people. Each and every steelheading experience is a quest and should be something to cherish for a lifetime. Steelhead are one of the most sought after fish in the Pacific Northwest. Steelhead can be found in our Pacific Northwest rivers most of the year. We work hard to put you into these fish based on the timing of the runs, how they are moving up river and where they are holding. We use the right gear and techniques to make the difference between fishing and catching. 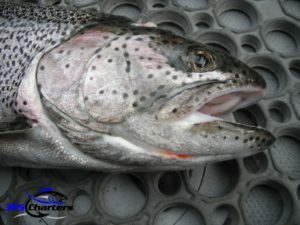 Steelhead fishing is available most of the year. Starting in June the return of our summer run Steelhead begins. The warmer water temperatures usually bring out a more aggressive and acrobatic Steelhead, in comparison to the winter Steelhead run. The winter Steelhead run really kicks off in late November and continues through March of the new year. We free drift, back-bounce, and free float jigs for Steelhead. In March & April the Columbia River sees the first salmon of the year with the Spring Kings (Chinook Salmon). Fishing the big and powerful Columbia River for Springers is an experience that can produce some hard fighting, rod bending King Salmon. 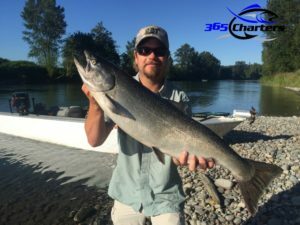 Salmon fishing continues into June & July where we see the Summer King (Chinook) Salmon run. This summer run is highly anticipated and can produce some memorable fishing. As an added bonus we also fish for Steelhead during the Summer King run. King Salmon opportunities in Western Washington continue through the fall. In the fall, the majority of our salmon begin to migrate back to their native waters to spawn. On odd years, Pink (Humpies) Salmon begin their return. This is the smaller of the four species returning to Northwest rivers, but their size will fool you. These are hard fighting fish, making great table fare using a variety of recipes. Annually, Coho (Silver) Salmon begin returning toward the end of August and/or the Pink Salmon run, followed by and Chum Salmon. We free drift, back-bounce, drift fish, plunk, troll, and jig fish for the various species of salmon. Waters we fish for Salmon: Puget Sound, Wild and Scenic Skagit River, Snohomish River, Snoqualmie River, Skykomish River, Cowlitz River, Lewis River, Columbia River near the mouth of Cowlitz River, Columbia River near Portland, OR, Drano Lake and Columbia River below Bonneville Dam, and Lake Sammamish. Dolly Varden are found in many Northwest rivers, but the Skagit river has one of the most consistent Dolly fisheries in Western Washington. We fish for Dollies in the same manner and time as our Steelhead and Salmon. 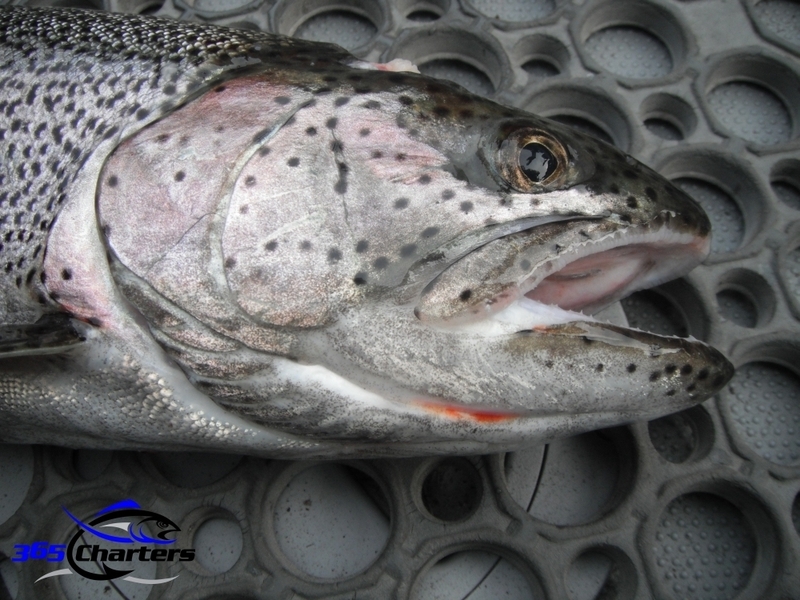 Dollies average 4 to 6 pounds and are an added surprise when fishing for Steelhead and Salmon in the fall and winter. These are very beautiful fish and will provide a memorable experience for any angler. Cutthroat Trout can be found in our rivers and some lakes. Lake Washington is a popular fishery for sea run Cutthroat Trout, as they are making their way to select streams to spawn. Some of these sea run Cutthroat Trout can range up to 4 lbs! February is a great time to fish for Cutts. Kokanee are landlocked Sockeye Salmon. They are sized the same as trout, but are hard fighting and taste great! We fish for Kokanee on a few select lakes in Western Washington. We fish for Kokanee a few different times per year. 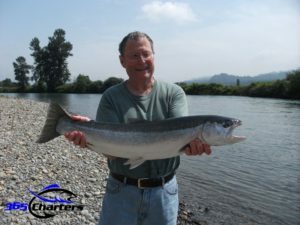 Rivers we fish for Dolly Varden, Cutthroat Trout & Kokanee: Wild and Scenic Skagit River, Snohomish River, Skykomish River, Lake Washington, Stevens Lake, and more. White Sturgeon can be caught year around in Washington’s North Puget Sound. Ridge to River Outdoors fishes for Sturgeon in North Puget Sound area rivers and estuaries. While we can fish for Sturgeon year around, we have some red hot Sturgeon fishing starting early spring through mid summer. These prehistoric looking fish are hard fighting, giving you an exciting and memorable time on the water. Beginning 2014, there will not be any retention for sturgeon in Western Washington. This includes the Columbia River, all of its’ tributaries as well as the Puget Sound. We offer catch and release fishing for white Sturgeon in the Puget Sound. Catch and release fishing for Sturgeon is a ton of fun! These fish will give you the hardest fight of all our Pacific Northwest fishing! Areas we fish for White Sturgeon: Between the Snohomish River system and the Skagit River system, including the Puget Sound and tidal estuaries, sloughs and rivers. 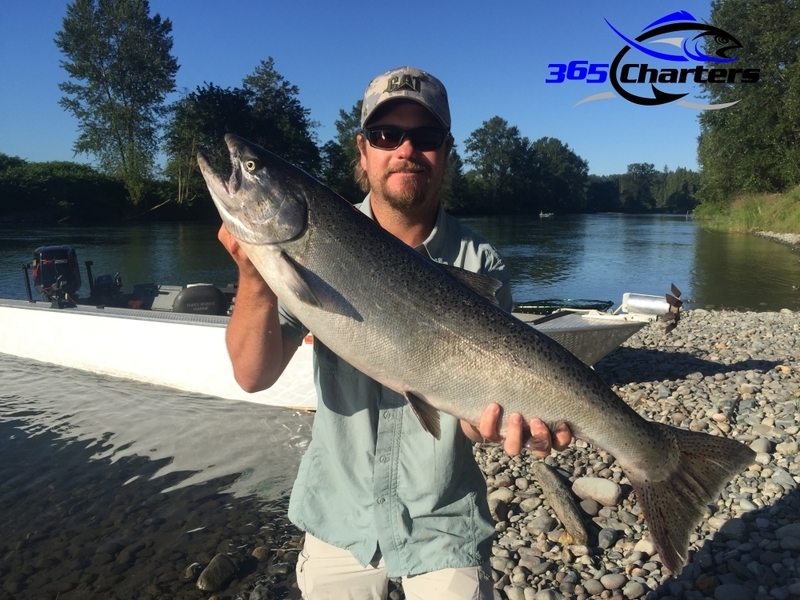 365 Charters supports the catch and release principles of Wild Steelhead & Wild Chinook Salmon.